Welcome to the Java programming tutorial series. In this tutorial, I will show you how to download the Java SDK and Netbeans IDE so you can begin coding in Java. You will also learn how to write your very first program in Java – a ‘Hello world’ program. Watch the video below and then scroll down for the links to the Java SDK and Netbeans IDE downloads and to view the sample code for the example shown in the video. Here is the sample Java code for this tutorial. Keep in mind that the project name in the video example was HelloWorld and so the package in the sample code is also called helloworld. 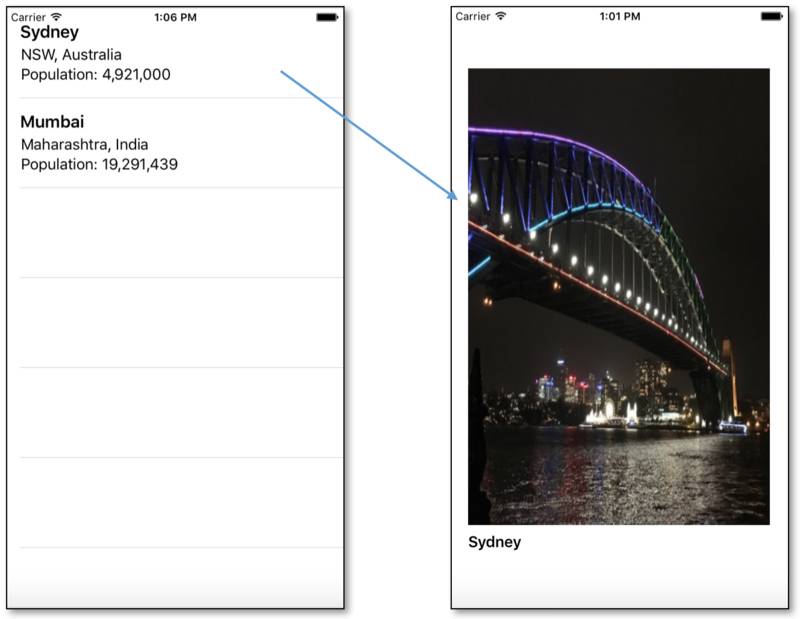 In this tutorial, we will look at how to extend the iOS List app we made in the previous tutorial by adding a Details screen that will display more details about item the user has selected from the list. Note: The title bar of the app will normally display and should be presented when the app is tested on an actual iOS device, but a bug in the iOS Simulator used here prevents the title bar from showing. 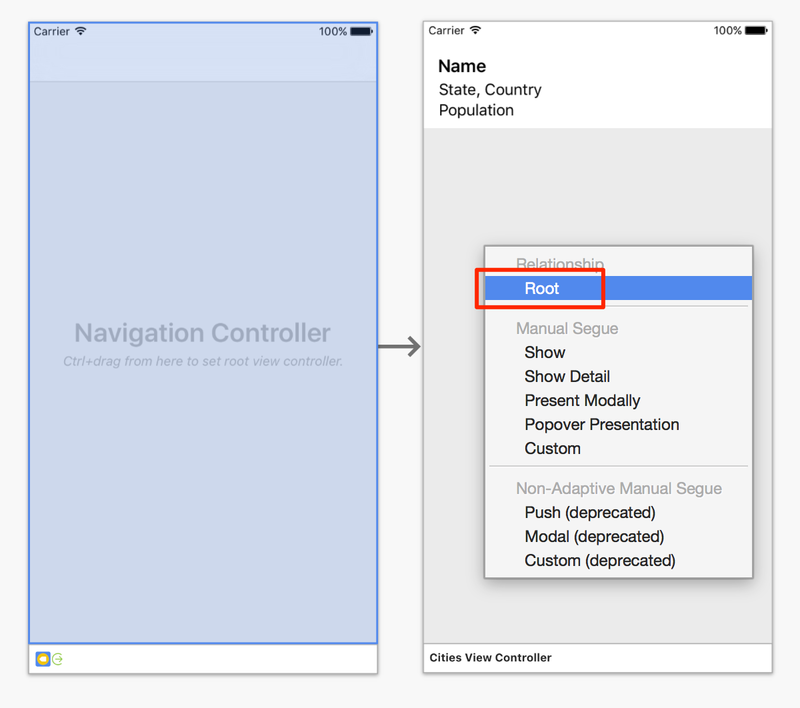 Drag a Navigation Controller from the Toolbox on to your storyboard. 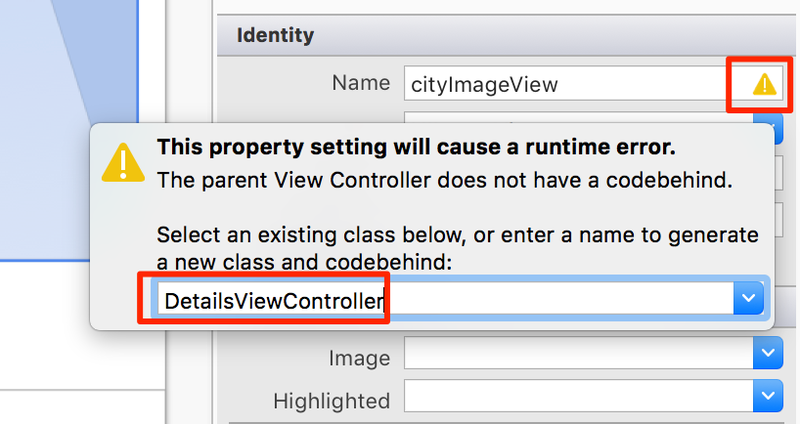 Right-click and Delete the Root View Controller that is not required (you may have to delete twice). Hold down the Control (Ctrl) key while clicking and dragging from the Navigation Controller to the Table View screen. Then select Root. 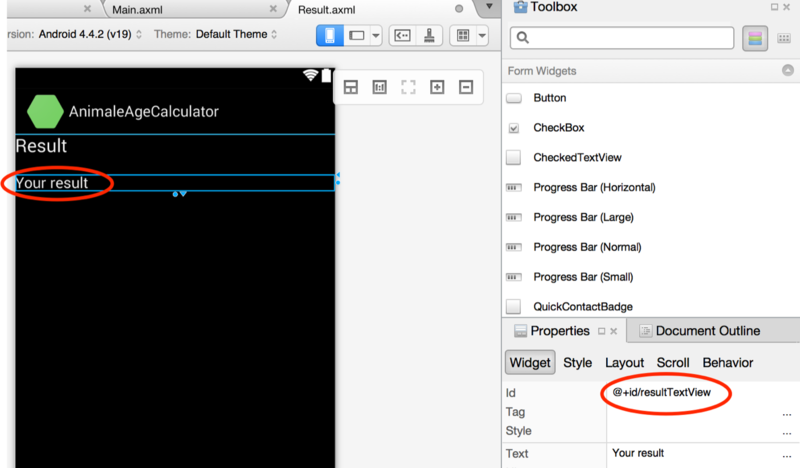 Drag a View Controller from the Toolbox on to your storyboard next to the main screen. 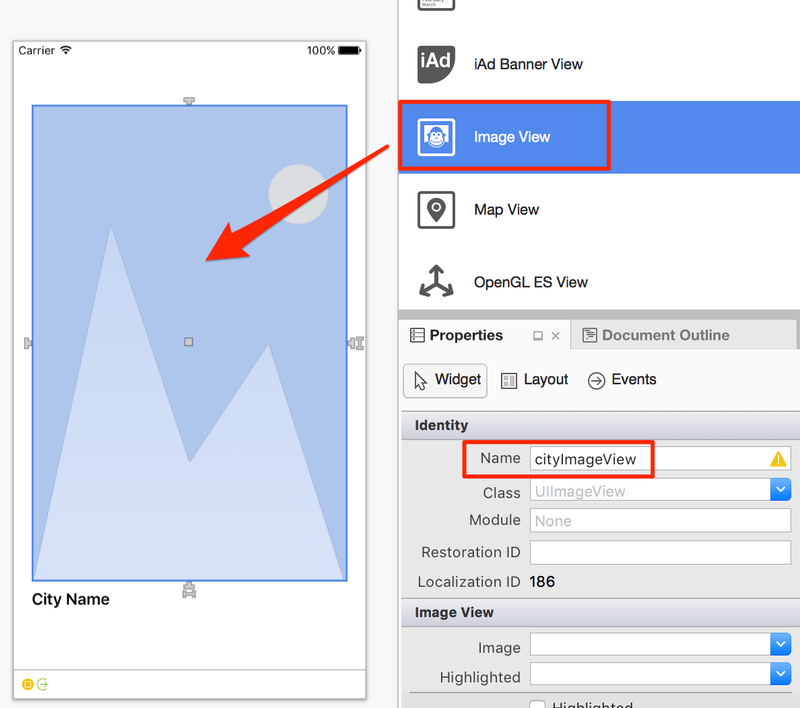 Add an ImageView element and a Label element to your screen. 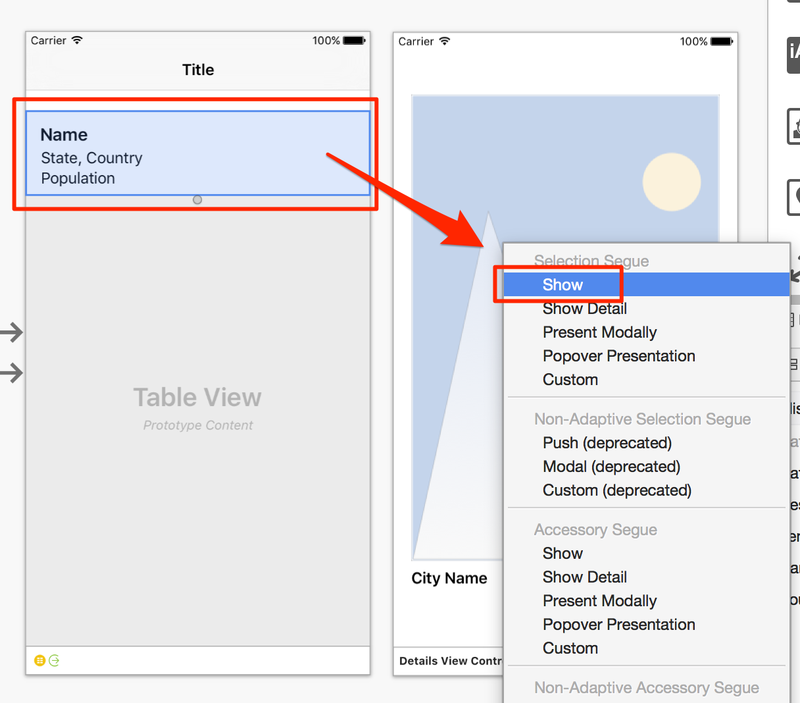 The default Text value for the label can be set to City Name. You also need to give both elements a name. 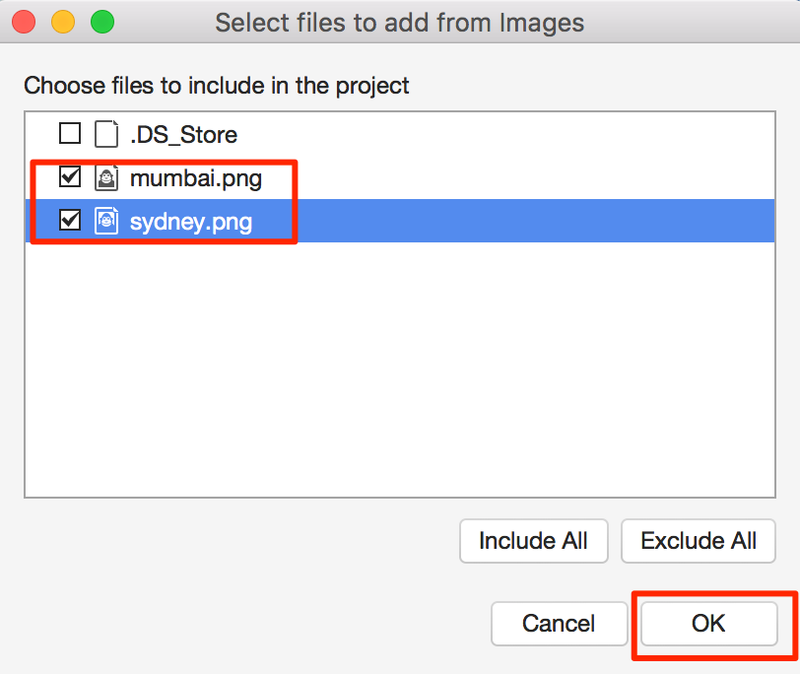 Set the Name value for the Image View to cityImageView and the Name value for the label to cityNameLabel. When you give the ImageView or Label element a name you will see a yellow warning icon in the Name field. Click this icon and then type in DetailsViewContoller and press the Enter key to generate a new class and codebehind for this screen. Now Control-click (Crl + click) and drag from the row on the main screen to the new details screen and select Show. This means that when the user selects a city from the list, they will be taken to the city details screen. You can also double-click on the main screen’s title to change it. Click on the arrow between the main screen and details screen. On the Properties panel, set the Identifier value to DetailsSegue. Remember its name because it will be used in the code. 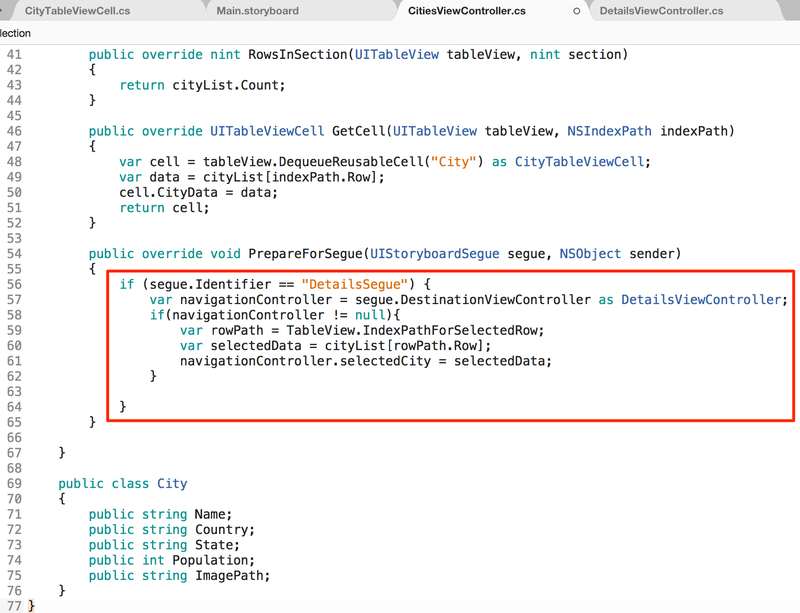 Open the CitiesViewController.cs file and scroll down to the City class. 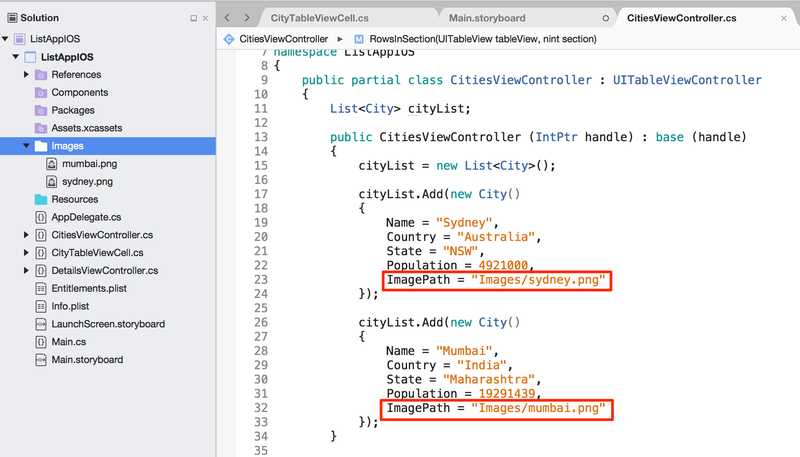 We need to add a new property called ImagePath which will contain the image for each city in the class. 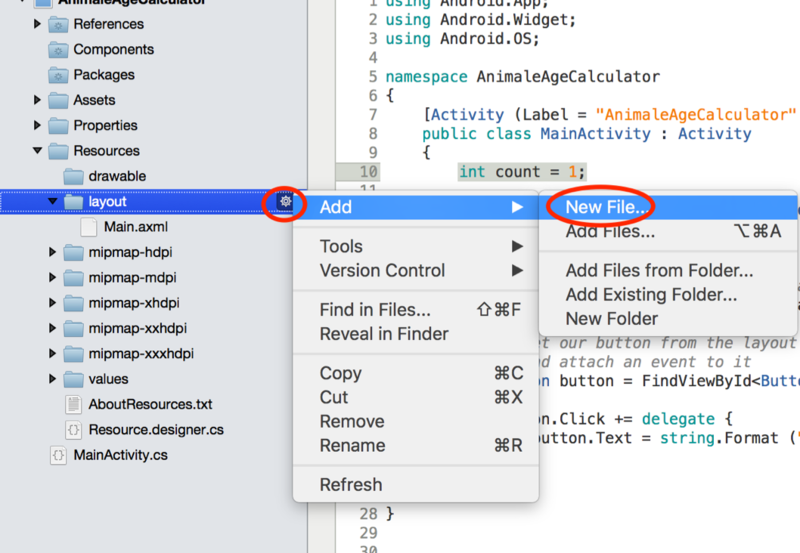 Right-click the project folder and select Add > New Folder. Name this folder Images. Now right-click the Images folder and click Add > Add Files from Folder. 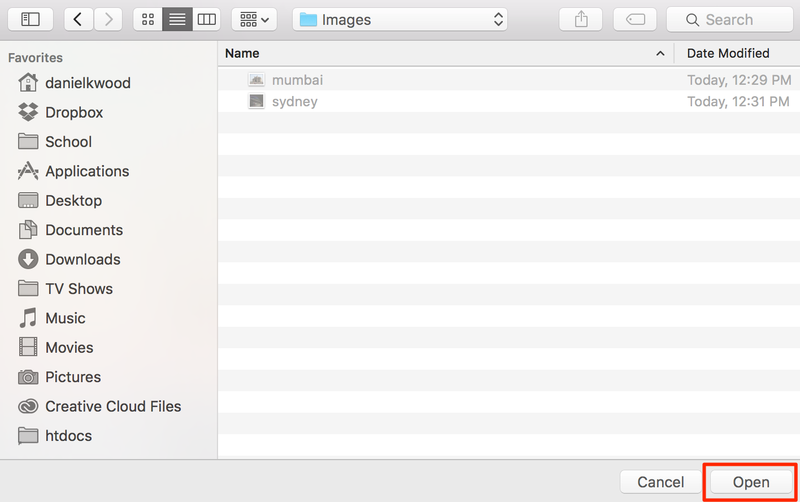 Browse for the folder containing your images and then click Open. Select the desired images and then click OK. Select Copy the file to the directory and Use the same action for all selected files. Then click OK.
Go back to the CitiesViewController.cs file and for each city in the cityList, add the lines highlighted below to specify the ImagePath for each city’s image. Remember to add a comma to the end of the line before the ImagePath line (see the commas at the end of lines 22 and 31). 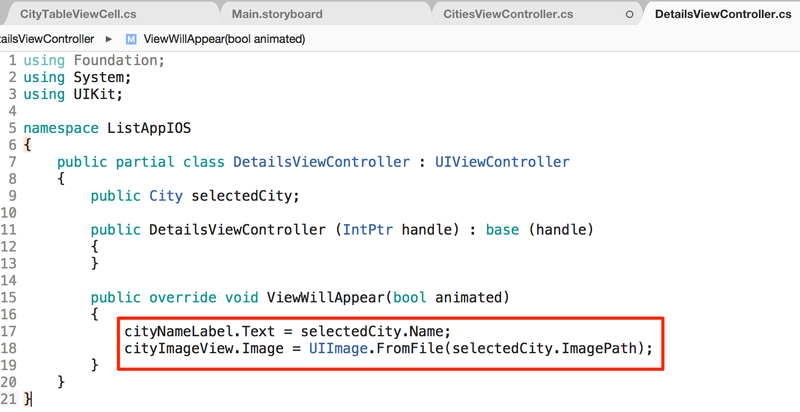 Go to the DetailsViewController.cs file and add the public City selectedCity; line to the DetailsViewController : UIViewController class. Save the file. Now you need to add a PrepareForSegue override method. You can add this method after the GetCell method. Start typing public override PrepareForSegue and then select the PrepAreForSegue method from the list by double-clicking it or pressing Enter to autocomplete. Add the following code to the new PrepareForSegue method. This will check if the segue is the DetailsSegue (in other words, if the user tapped one of the rows from the table on the main screen that takes them to the details screen). Then it will get the relevant data from the selected row to be displayed on the details screen. 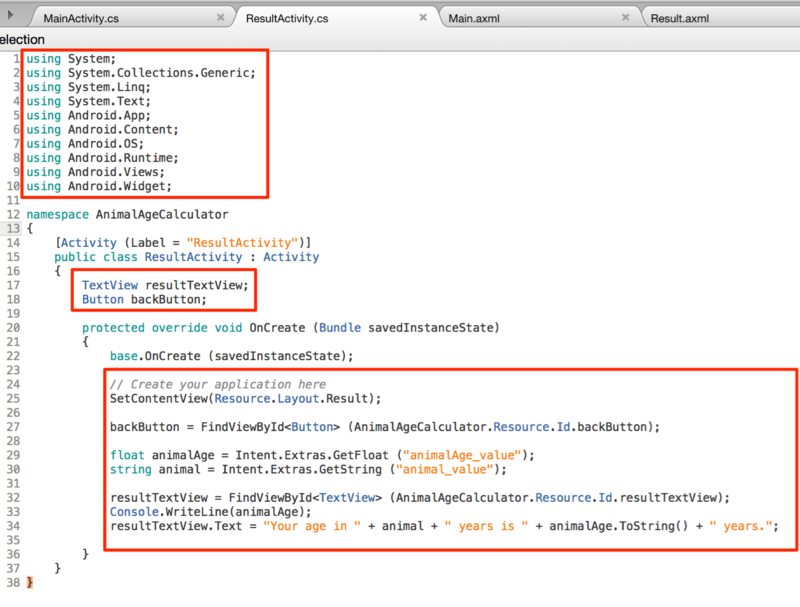 Back in the DetailsViewController.cs file, add a public override ViewWillAppear method. 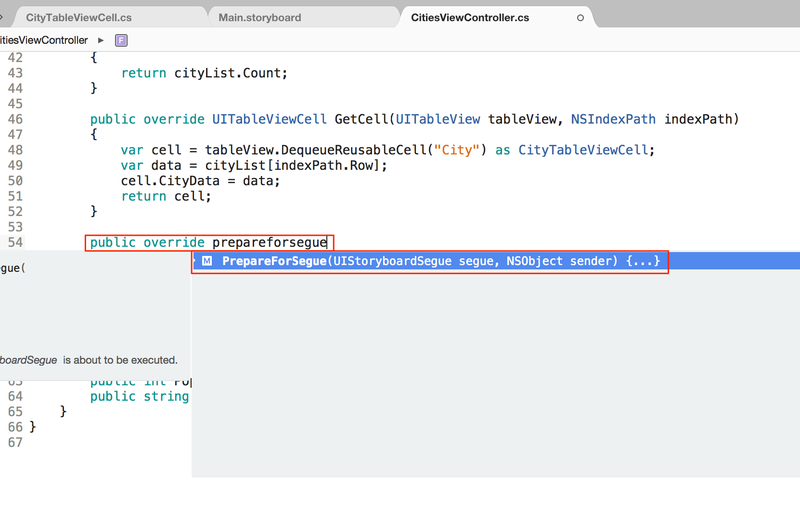 To do this, start typing public override ViewWillAppear and then select that method from the list. 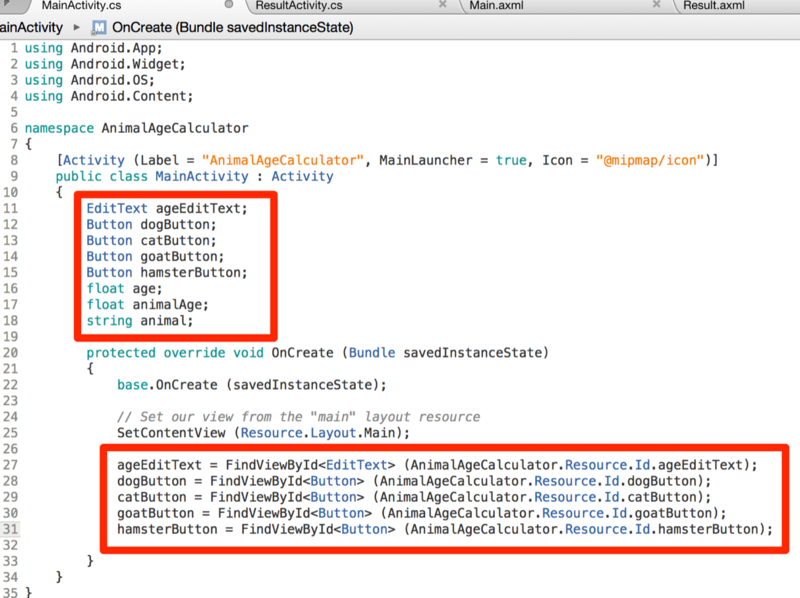 Inside the new ViewWillAppear method (which runs as soon as the second screen loads), add the following highlighted lines of code (replacing any existing default code inside the method). This will set the label text to display the name of the selected city and will also set the ImageView to display the image representing the selected city. All done! Make sure you save your files and then you can test your app! 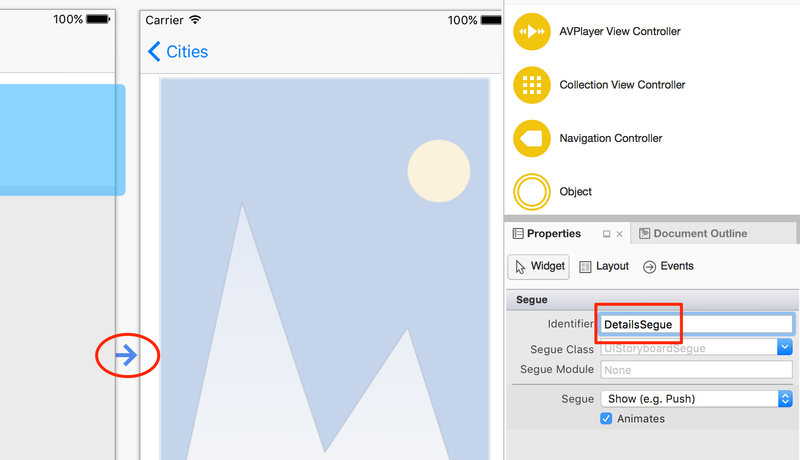 You can extend this app by adding more properties to each City item so that the Details page can display more information about a city such as points of interest, activities, and even its location on a map. In the next tutorial we will look at how to add thumbnail image previews to each row in the list. 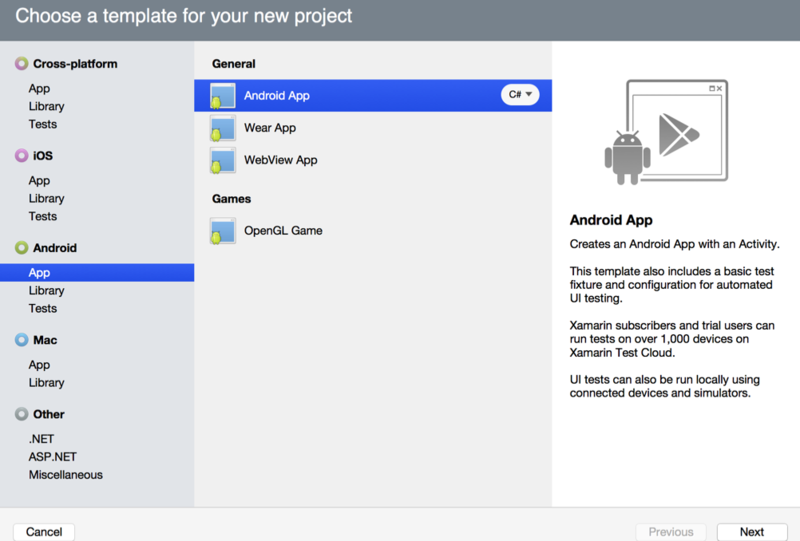 Open Xamarin Studio. Click File > New Solution. 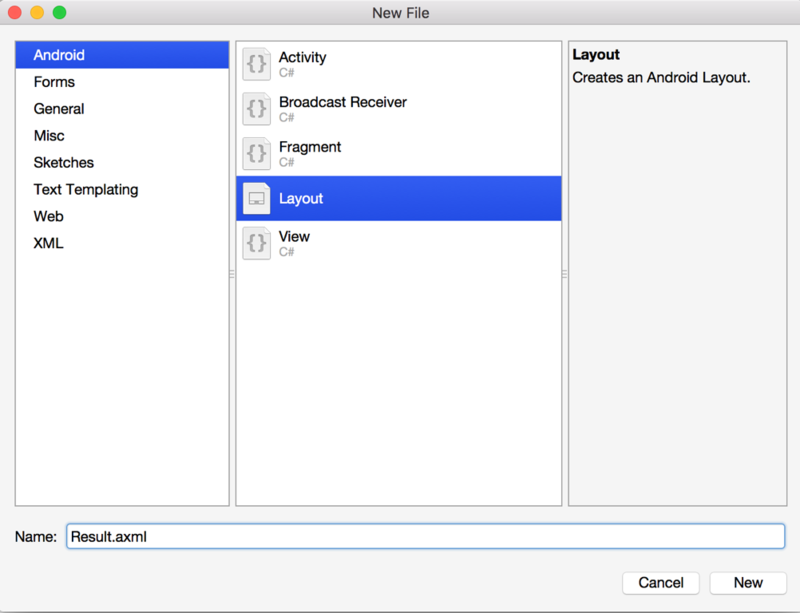 Select Android App (C#) as the template. 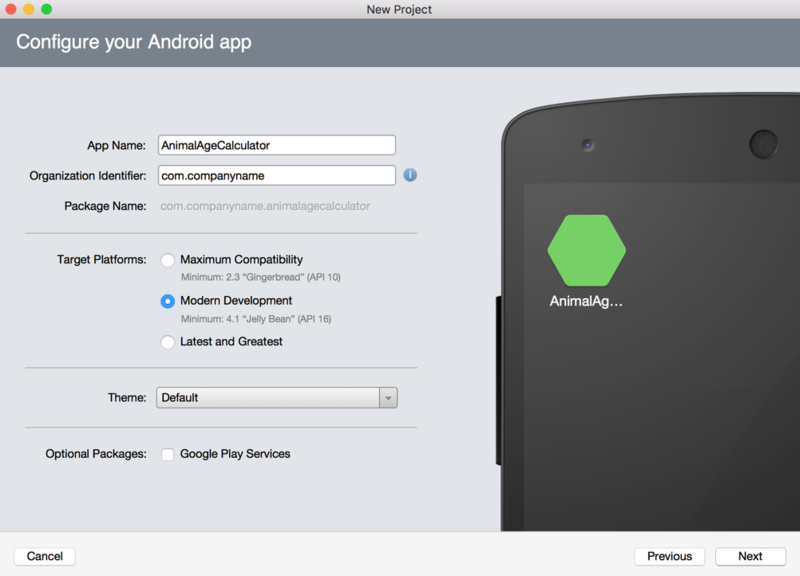 Give your app a name, for example AnimalAgeCalculator. Click Next. Confirm the project and solution name as well as the project folder location and click Create. Navigate to the Resources > layout folder and click the cog icon (or right-click the folder). Then Click Add > New File. We will be adding the second screen to the app. Select Android > Layout, give the new screen a name (eg. Result.axml) and then click New. Open the Main.axml folder in the Resources > layout folder. 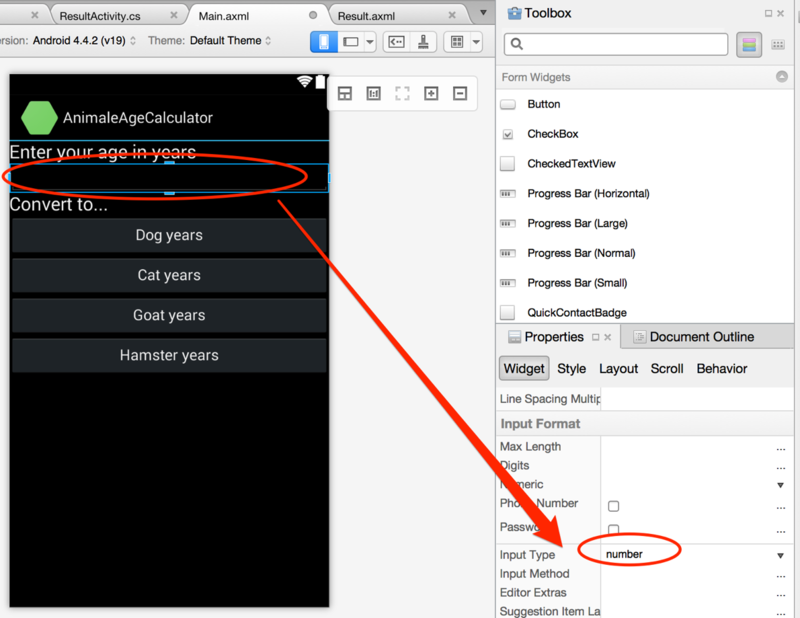 Add a Text (Large) element and change the Text value to say ‘Enter your age in years’. Now add a Plain Text element and change its Id to @+id/ageEditText . Now open the Results.axml file and add a Text (Large) element – replace its Text value with ‘Result’. Then add a Text (Medium) element, change its Id value to @+id/resultTextView and give it a default Text value (it doesn’t matter what you put here as the result text will change). Add some spacing and then a Button element. Rename the Id of this button @+id/backButton and change the Text value to ‘Go back’. Save the file. Now click on the project folder (not the solution folder) and click the cog icon (or right-click) > Add > New File. 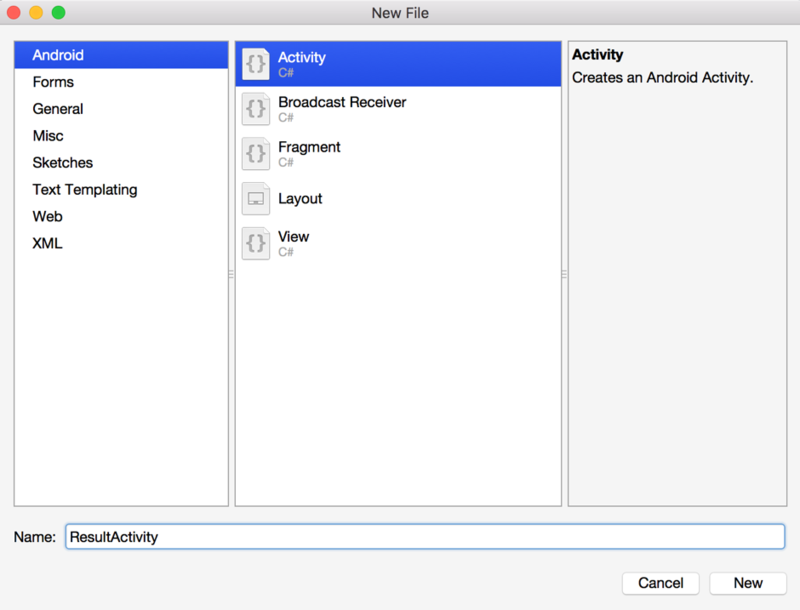 Select Activity from the Android list, name it ResultActivity and then click New. Open the MainActivity.cs file and delete the two sections of highlighted code shown below inside the MainActivity class. This code will not be required in this app. 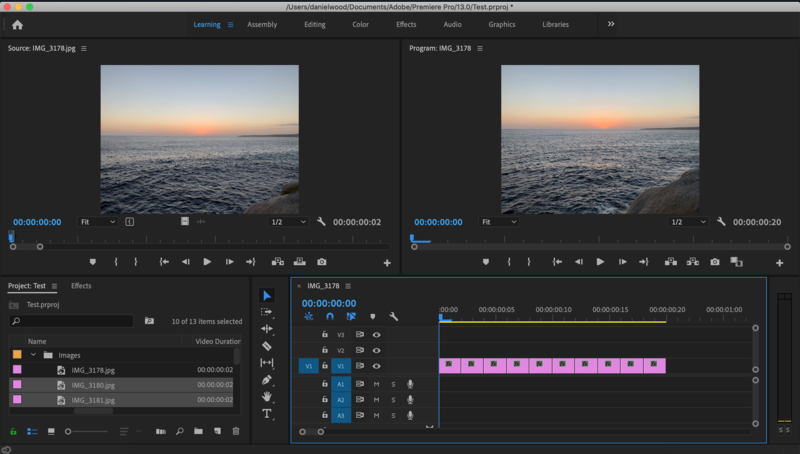 In the MainActivity class, define the EditText and Button elements, and create two float variables (age and animalAge) and a string variable (animal) as highlighted on lines 11-18 below. In the OnCreate method, add the following highlighted code (shown in lines 27-31). 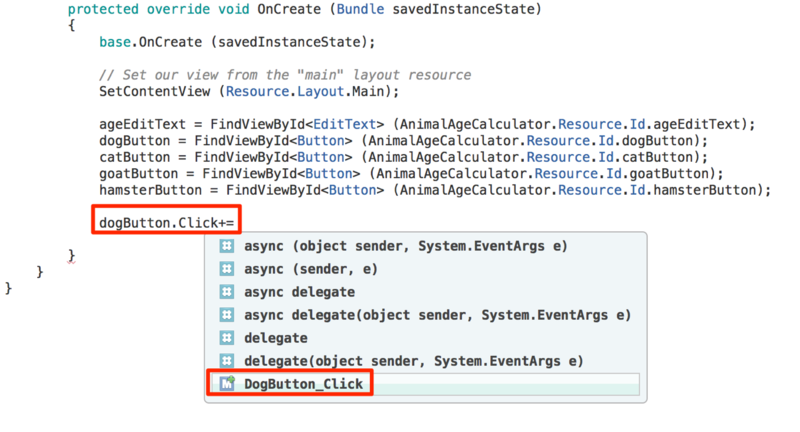 In the OnCreate method, after adding the EditText and Button elements to the code, start typing dogButton.Click+= to create a button click event and then press the Spacebar key. You will see a list of options – double-click the DogButton_Click option to create a new method of the same name. The new method called DogButton_Click will be created as shown below. Repeat the last step for each button click event. You should now have click events and matching methods for the dog, cat, goat, and hamster buttons. 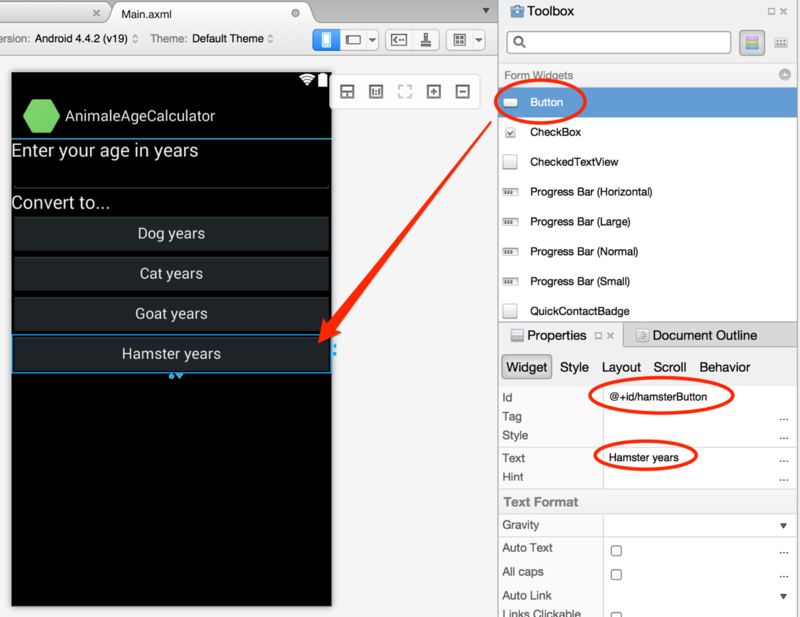 This is where we will start adding code to convert the human years to animal years and take the user to another screen. Add the following code to the methods show below. 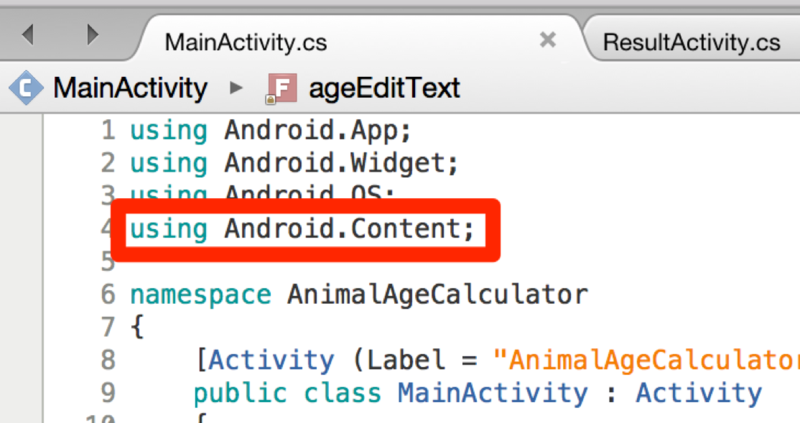 Make sure you have the line of code using Android.Content; at the top section of the MainActivity.cs file’s code. 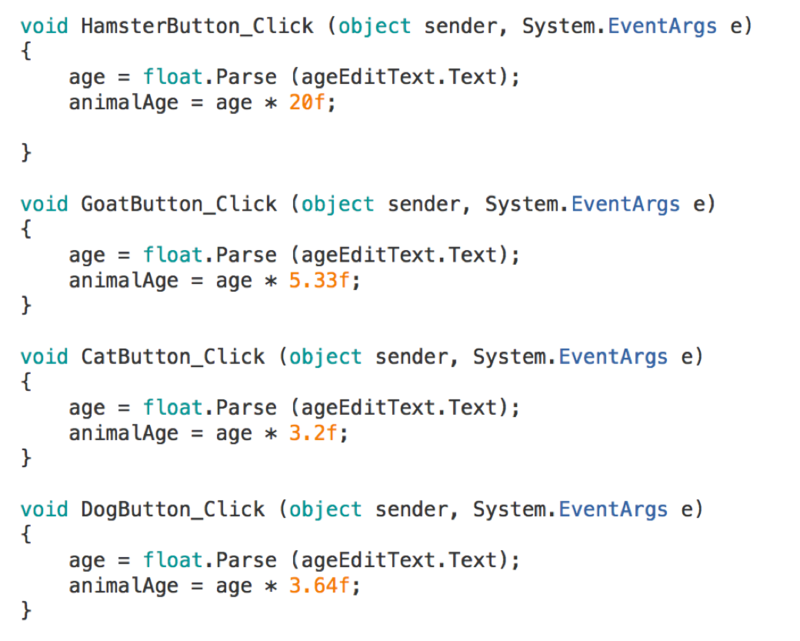 In the HamsterButton_Click method, change the animal variable’s value to “Hamster” and then create a new intent which will send the values of the animalAge and animal variables to the ResultActivity screen. The last step will need to be repeated for each button click method as shown below. Just change the value for the animal variable in each method to the appropriate animal as shown below. Save the file. Open the ResultActivity.cs file and make sure your code is the same as shown in the highlighted areas in the image below. 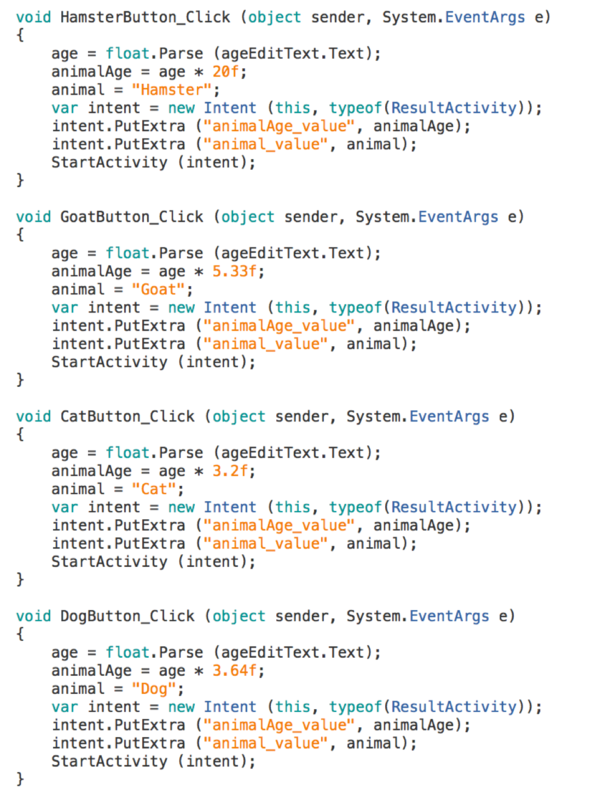 You will need to define the resultTextView and backButton elements as well as get the animalAge and animal values from the Intent created in the MainActivity.cs file. 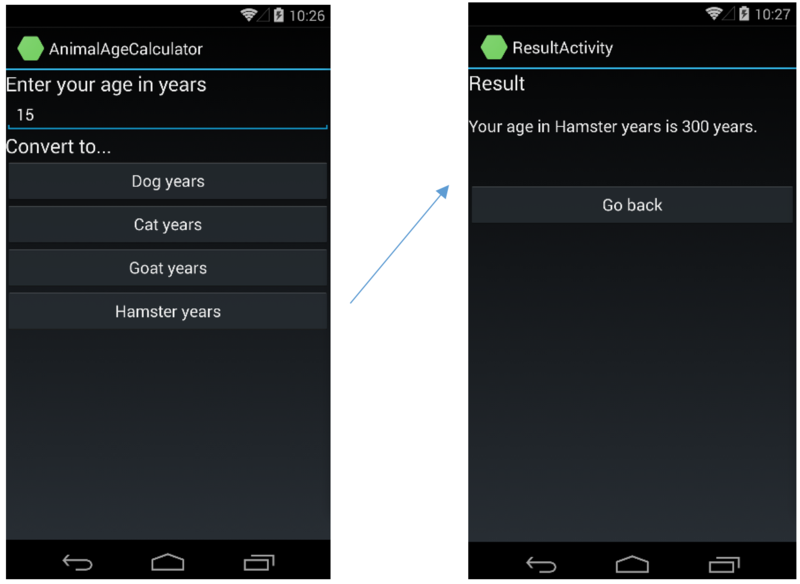 The resultTextView element will display the result of the age conversion (the selected animal name and result in animal years). Save the file. Now just add a click event and method for the backButton element which will take the user back to the main screen when they click on the button which says ‘Go back’. The last step before testing is to go back to the Main.axml file and change the Input Type for the ageEditText element to number. Save the file and test your app. 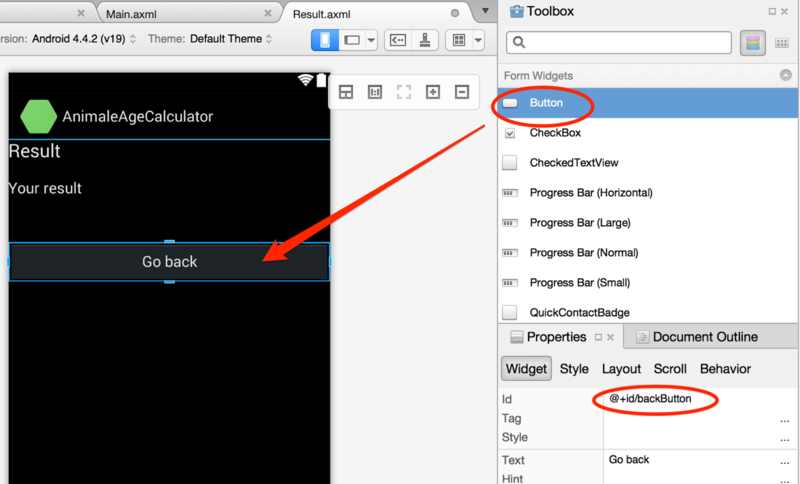 Click the Build icon to test your app using an Android simulator. One last thing we can do is prevent any errors from occurring or the app from crashing if the user does not enter a value to convert before tapping a button. We can check if the text field has been left empty and only run the conversion and open the result screen if a value exists in the text input field. 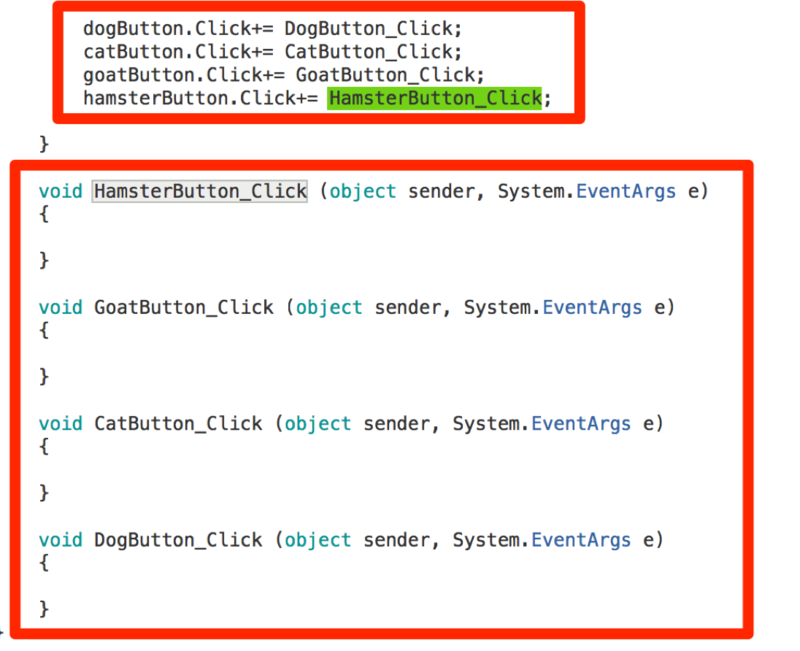 Here is an example of this in the HamsterButton_Click method. 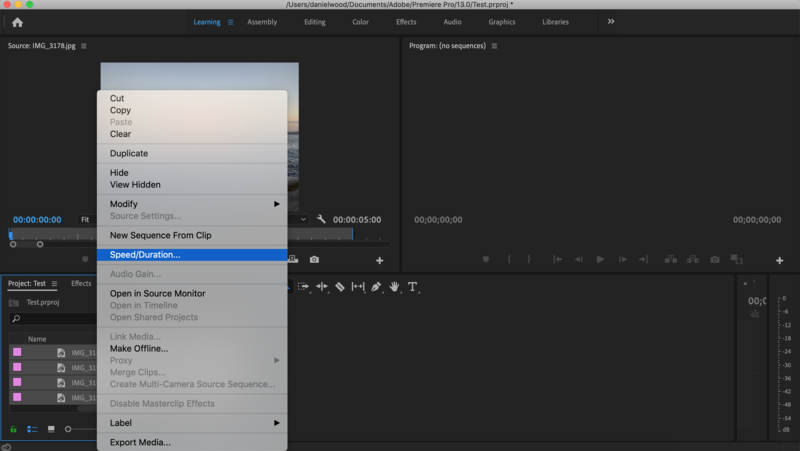 You could repeat this step for all of the button click methods. 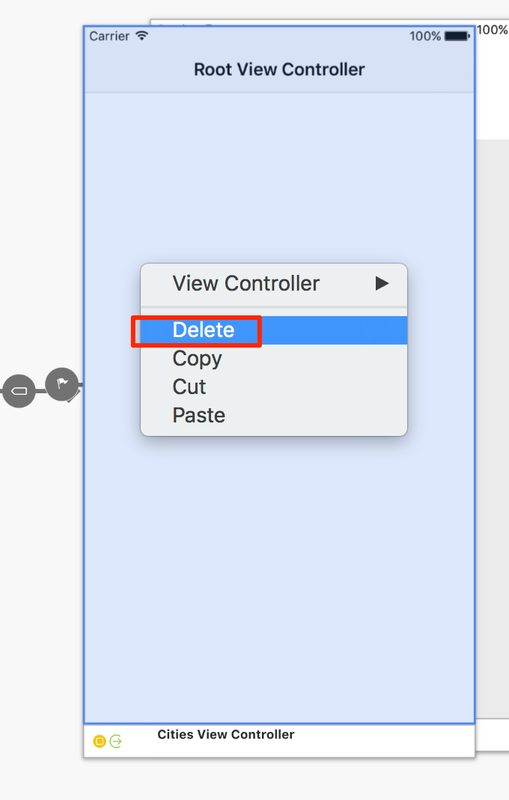 Now go and test your app again – it should no longer crash if the user does not enter a value in the text field! While loops are used to repeat a section of code while a specified condition evaluates to true. For example, a user could keep being asked to enter a password while the password they are providing is incorrect. When the password they provide is correct, the loop will end. The video below explains how to use while loops in C#. You can also scroll down to see the sample code. The sample C# code for a solution and project called MyApp is shown below. In this program, a variable called myNumber is created which is initially given an integer value of 1. A while loop is created which checks if the value of myNumber is less than 10. While the value of myNumber is less than 10, the value is displayed to the user and then increased by 1, each time the loop repeats. Each repetition of a loop is called an iteration. Try the code below in your own program. 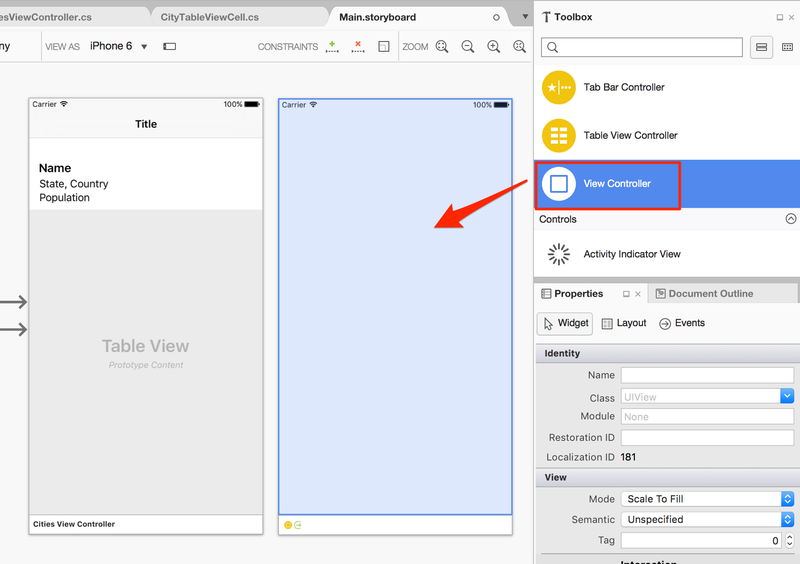 Welcome to the tutorial series on building mobile apps for Android and iOS with Xamarin and the C# programming language. 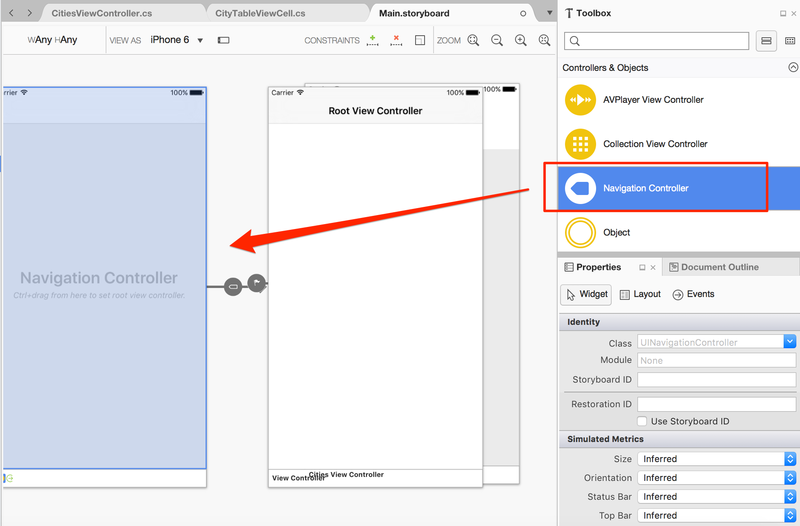 In this tutorial series you will learn how to use the Xamarin platform to design and develop mobile apps for both major smartphone operating systems – Android and iOS. 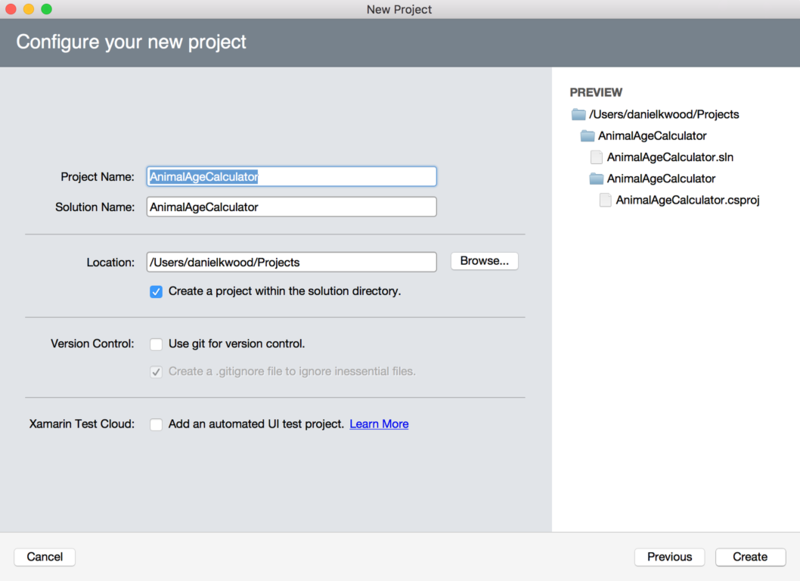 With Xamarin, you can build native apps without having to know Swift, Objective-C, and Java. 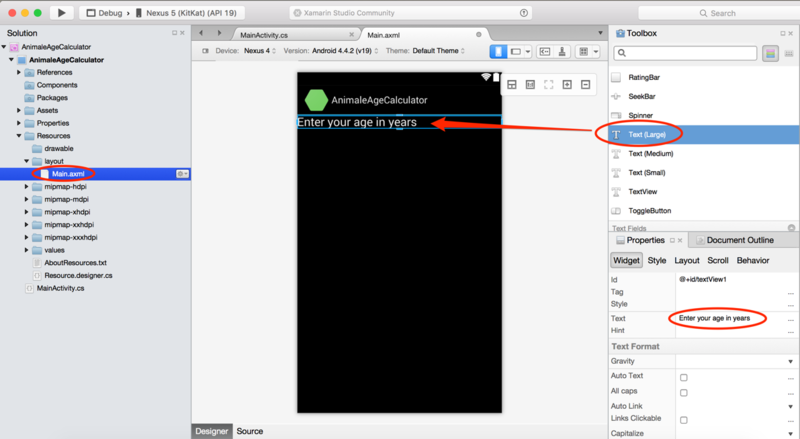 Most of the code you write in C# with Xamarin can be used for both Android and iOS, making it much easier to write native apps for both platforms. 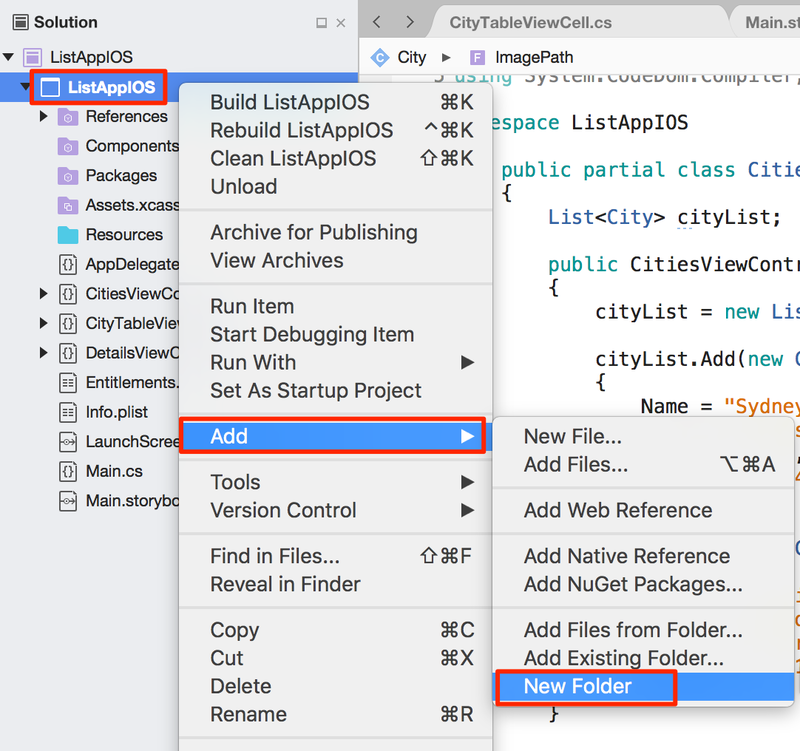 Xamarin allows you to write native apps for different platforms with native UI, native API access, and native performance using a shared C# codebase, the same IDE, language, and APIs anywhere. In this tutorial series, we will start by installing and getting to know the Xamarin platform and basics of the C# language, and then we will learn how to make a basic Android and iOS app. The great thing about learning C# is that you will also be able to use that language to develop amazing 2D and 3D games for several platforms in Unity 3D by following the tutorials here. 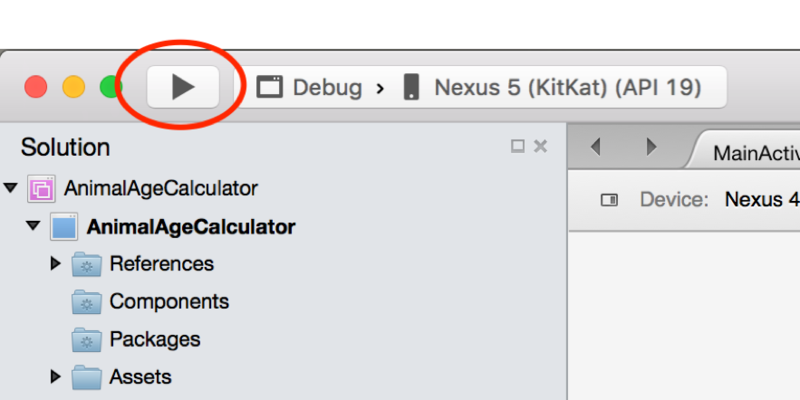 The next tutorial will show you how to download and install Xamarin for Windows and Mac OS. Note: CodeMahal is not endorsed by or associated with Xamarin in any way. CodeMahal provides free tutorials on using the Xamarin platform. In this tutorial you will learn more about entities and how to modify a Box entity to make a ground or floor for your game’s scenes. You will also learn how to use materials to give 3D objects some colour and apply detailed patterns and textures using assets. 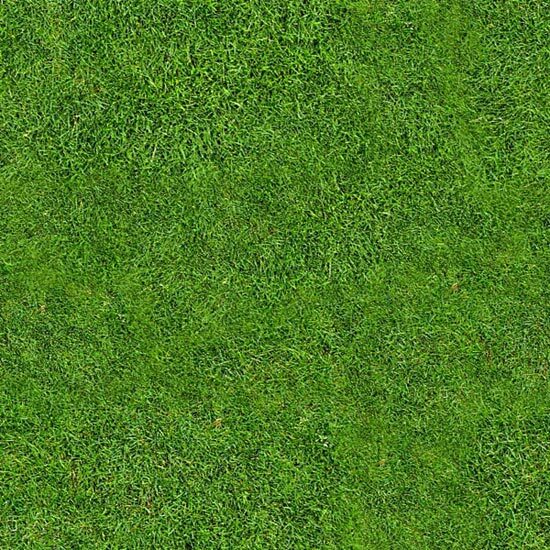 A repeating grass pattern image like the one shown in this tutorial can be downloaded from here. Tip: You can do a Google Images search for textures and patterns using keywords such as “brick pattern tiled”, “repeat brick pattern” or “brick pattern seamless”. In this tutorial, you will learn how to setup a PHP development environment on your computer using XAMPP. You will learn how to install and set up XAMPP and test it out so that you are ready for PHP development! We will be starting out with PHP and working with MySQL a little later on after covering the basics of PHP. 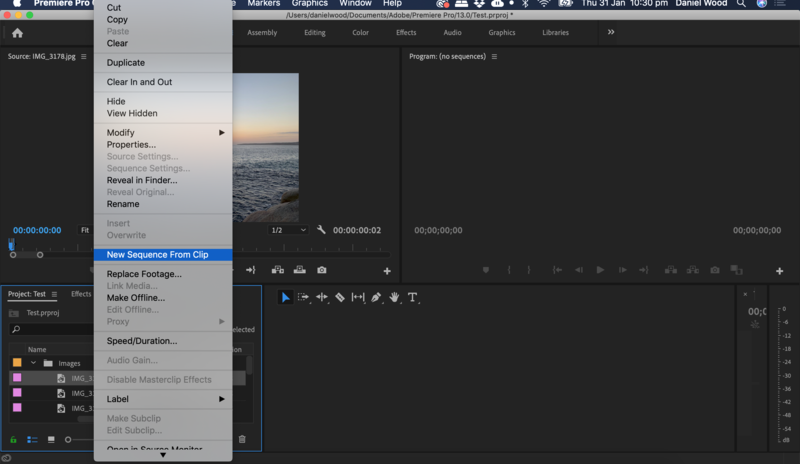 These tutorials will be presented on Mac using XAMPP but you are welcome to use Windows or Linux and the steps should be the same or fairly similar for whichever OS you use. You can also try out another PHP development environment but XAMPP is a good choice for all platforms. Click here to download XAMPP. You can also use a web-based programming environment like Cloud9 to code in PHP. Watch the video below and then scroll down to see the sample code used in the video. Should I use the closing ?> tag?